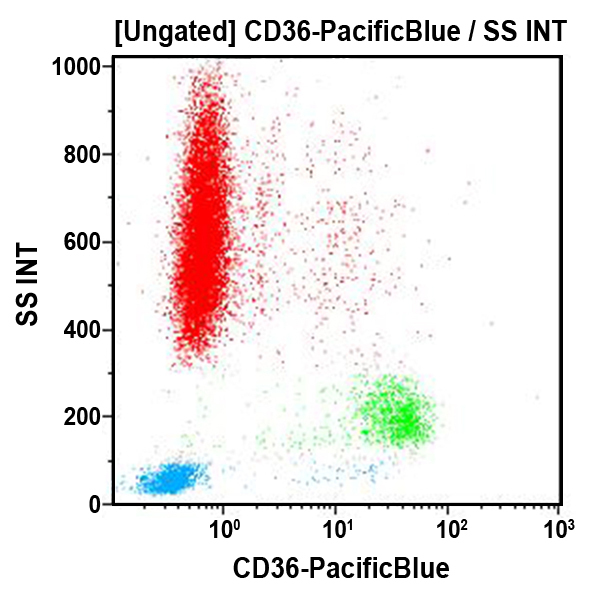 The CD36 antigen (platelet GPIV) is a generic term for a family of glycoproteins with molecular weights ranging from 78 to 88 kDa. This molecule is found on platelets, endothelial cells, monocytes, and some human tumor cell lines. It is a very early marker of erythroid differentiation and mediates the adherence of platelets to thrombospondin and collagen. *Alexa Fluor and Pacific Blue are registered trademarks of Molecular Probes, Inc.